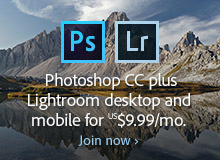 How Many Systems Can You Use Adobe Products (CC, CS6) On? 2.1.3 Portable or Home Computer Use. Subject to the important restrictions set forth in Section 2.1.4 [having to do with volume licensees], the primary user of the Computer on which the Software is installed … may install a second copy of the Software for his or her exclusive use on either a port­able Computer or a Computer located at his or her home, provided that the Software on the port­able or home Computer is not used at the same time as the Software on the primary Computer. So the primary user may install another copy on a secondary computer for their own use, but the two installations cannot be used simultaneously. Generally, for Creative Suite and Adobe Acrobat standalone, the two machines should also be of the same operating system (Windows or Mac), because the software is licensed and delivered for use on one specific platform. However, all Creative Cloud members and single-app CC subscribers (and that includes all customers of the $9.99 Photography Plan) can install and run their tools on up to two machines of either operating system, including both a Mac and a PC. 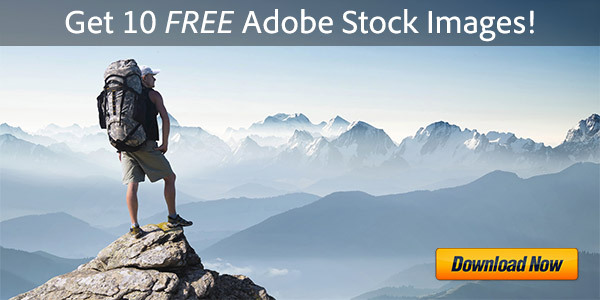 Other Adobe products like Photoshop Elements and Lightroom are also always sold multi-platform, making it easier to mix-and-match Windows and macOS for your two installations. Another key benefit with Creative Cloud is that it does not use serial numbers like CS did – instead, you activate CC by logging in with your Adobe ID, thereby providing the ability to more flexibly manage your usage. So if you install the CC apps onto a third computer, it will ask you if you want to automati­cally deactivate the other two… Just hit “Continue” at the Maximum Activations Exceeded box, and it will handle activation of your new system and deactivation of the others for you. Afterwards, you can reactivate again on one additional machine. This can be useful if you’re moving around between computers, or if one of your earlier systems crashed, or if the software is otherwise inaccessible. How About for Use of Prior Versions? 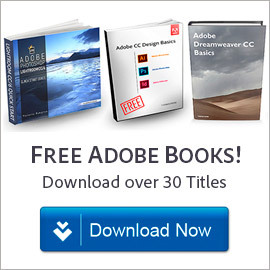 There is one additional requirement for upgrade versions of Adobe software: If you upgrade but want to continue using your prior release, then per Adobe licensing terms the older product must be on the same computer(s) as your newer upgrade version. And ever since 2013: all Creative Cloud subscribers have open access to download and use previous major releases such as CS6 – instead of or in addition to the latest CC version – together on the same machines. Note that the above policies work exactly the same for Adobe’s Education versions – there is no distinction for those here… However, one major difference in restrictions for all the Student and Teacher Editions is they can be run only on the customer’s privately-owned computer(s) and used by the eligible licensee. Importantly, Adobe defines a computer as “a virtual or physical device,” not just a CPU – so that includes running on virtualization platforms such as VMware Fusion, Parallels Desktop, Citrix XenApp, and Oracle VM VirtualBox. The same thing goes for a dual-boot system with a product installed on both partitions, including Apple Boot Camp. So each virtual machine you install the software on would count as a single product activation per the rules described in this article. 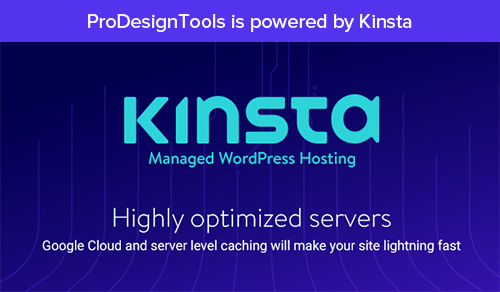 However, this does not mean the software can be installed on a server and accessed by multiple users that are more than the number of licensed seats that have been purchased (see Section 2.1.7 “Server Use” for more details). So there’s your answer for most current Adobe software, although we recommend confirming the terms for your particular product or suite because the license agreements are somewhat different for each package (including the Creative Cloud, Creative Suite, Acrobat, Lightroom, Elements, etc.) and version (CC, CS6, CS5, CS4, CS3). Creative Cloud for Teams also offers exclusive collaboration features like Team Projects, which enables a group of distributed people to work jointly together on a single video project. Learn more about Creative Cloud for Teams and how to easily manage multiple users. Do you have any questions about CC or CS6? Just ask them below and we’ll get you answers! I spend 6 months in the UK and 6 months in South Africa (2 Summers). I purchased PhotoShop elements 14 in the UK and now wish to use it in SA. However when I use my Adobe ID name and password, I get my Adobe account but when I try to find PhotoShop 14 and open it I get a BUY window. If I am allowed 2 copies surely it should not matter what continent I use it in? Unfortunately I don’t have any Serial Nos. here in SA. Hello Pat, if you want to activate the software wherever you are, you will need your serial number… There’s no real way around that. I work in a print production company and we have 4 computers running adobe creative suite. 3 are updated to CC one was cs6. It was running fine then I updated the cs6 version and now we cant use it until another computer is off. We were running all 4 computers with no problem before today. If I reinstall cs6 will it work properly again? What is the exact message you’re getting? You can try reinstalling CS6 (and its updates), but first you could try just deactivating it and reactivating it via the Help menu. We are a design Team of 7 members at our organisation. 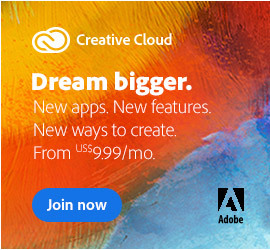 Currently we use Creative Cloud – All Apps [Annual Plan, Monthly Paid]. Is this against Compliance of Adobe? Sorry, 7 people cannot use the software at once. Only one person can. They aren’t asking if seven people can use one license. They have individual licenses and want to know if they are required to have a team license. You’re probably right Terrie… Apologies if we misinterpreted the question. No, a Teams license isn’t required when several people need the software – multiple Individual CC licenses will also work, although with reduced features and capabilities. For more details, see the article we linked in the previous comment. I am receiving monthly emails from my bank stating that payments are being made for adobe systems software and each time its different, either 19 or 35 or sometimes even 75 euros. i remember having created a creative cloud account in 2016 and had chosen the student payment of 19.99 euros for all apps. but now, as i log into my account i doesn’t state that i have registered to any payment plan and i can’t find none of my payment details. What is happening?! i need to stop these illogical payments! Via live online chat is usually fastest/easiest. Is it possible for 1 user to have multiple licenses not used by that person themselves? My office has several computers and we are planning to change from CS to CC. Not all computers needs the all-apps subscription and due to high turnover, we are planning to assign 1 admin to manage the licenses so that when a staff resigns, it can be re-installed on different computer. All subscriptions will go directly to that admin. Hi Citra, it’s not possible with Creative Cloud for Individuals to have multiple licenses assigned to a single person or email address… Reassigning licensed users and changing email addresses is only possible with Creative Cloud for Teams. What’s the Difference Between Creative Cloud for Teams vs. Individuals? I have LR and PS CC on my mac. I’d like it on my laptop (PC) as well. Not sure where to start… are you able to point me the right direction? Sure, normally you would just download your product to install on your other computer as well. Then sign in with your Adobe ID on your second computer, and away you go. 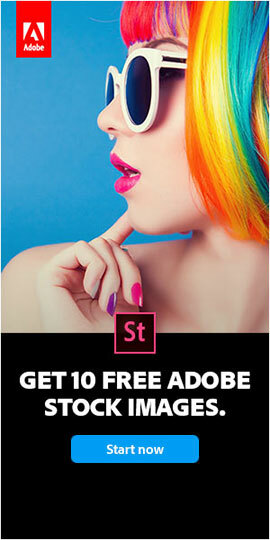 I am a student in Mexico, how can I purchase Adobe Student Products? with who can i talk? You could try getting a VPN and using a UK server? Hello, I purchased one-off versions of CS6 InDesign and Photoshop back in 2014 and 2015. I tried to install Photoshop on my new laptop today, but it won’t accept it. Hello Bruce, what is the issue or difficulty, or the precise error or message (exact text) that you receive? We would need more details about your system and the problem you’re facing in order to help. Ugh, sorry to hear that, Bruce! It sounds like you might have gotten scammed. Did you possibly buy that software off of eBay or similar? Too many good people end up losing their money that way, and worse. Be sure to check your system very very carefully for viruses, keygens or trojans… Run with multiple different virus scanners and security packages, the best you can find. I have a subscription to CC all apps and I would like to purchase a 3rd license of Adobe Audition CC only, for use on a third computer. Is there a way to do this with a discount since I already have a subscription or is my only option to pay $20/month for an additional license? Sorry Caroline, there is no discount for buying multiple subscriptions… You would just go with the Single-App Plan for Audition by itself. My fiancee and I are looking to get CC. We each have our own laptop, and while I’d be mainly using Premiere, she’d be mainly using Photoshop. I understand you can activate a license on 2 computers at once, would we be able to each use different apps at the same time? Greetings Mike, each subscription to Creative Cloud for Individuals is sold with a single-user license. So the answer to your question in a nutshell is no, because that would be using both of your CC product activations simultaneously. 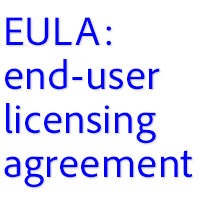 How Many Users on One Adobe Creative Cloud License? Hello, I purchased a one-off version of CS6. But my windows is not installing this setup. What should i do?? Sorry, we couldn’t even begin to guess what the issue is without sharing more details of the problem you’re encountering, including the text of any error or message. Hi Mike, my name is Dave. I think I was the one who started all this many years ago. You CAN download the Adobe software onto both computers under the same licence, BUT you just CANNOT be online at the same time using the software. It all makes sense from a software design point of view. What you have to do is to make sure that one of the computers Adobe software Graphics Pack is DEACTIVATED (a simple job under the Help menu, I think, when you open photoshop for example) when the other is online. First Deactivate and then start up other computer. It may be annoying, but if both of you are working on something together then it just means you have to organise yourselves with different online schedules. It is simply how you decide to design your online timetable with each other. The reason for all the hubbub is that you are entitled to have a back-up copy if one computer fails……so Adobe needs to know what’s what… if you have problems. If your failing computer cannot be fixed, then I do believe they have a system in place to get you up and running again so you always have the back-up. I have never needed to follow this up, but I am sure they will help you get sorted. This is an ASAP Question, I can’t download Adobe Photoshop cc 2015 on here, what’s wrong with the application… I tried it once. It just keeps saying access denied, what’s wrong with that?? You have to follow the download instructions given on that page first, before clicking on any direct links. I have adobe photoshop software, but I don’t know why I can’t install it on my laptop. Sorry, we don’t know why either… Could you please share more details about the problem? Do you receive any error or message? If so, what is the exact text of that? Often googling that will turn up a solution. Bottom line, how many computers can I install Creative Cloud on? Can I install the CC apps on three computers? Your individual Creative Cloud license lets you install your apps on more than one computer, activate (sign-in) on two, but use them on only one computer at a time. Install: You can install Creative Cloud applications on multiple computers, regardless of operating system. Activate: You can activate Creative Cloud on up to two computers. Use: You can use the software on one computer at a time. Hope that clears it up for you… Adobe’s full help page is here.